The March 31, 2019 full data is available for download here. Highlights: this edition of the Dramatic Growth of Open Access features charts that illustrate that 2018 showed the strongest growth to date for open access by number of documents searchable through BASE, PubMedCentral, arXiv, DOAJ, texts added to Internet Archive, and journals added to DOAJ. arXiv added 140,000 items in 2018, bringing the total close to 1.5 million items. The DOAJ article search grew by more than 800,000 articles in 2018, bringing the total number of articles searchable through DOAJ to about 3.6 million. 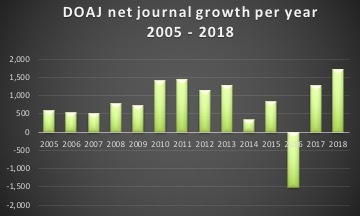 2018 was also the best year to date for DOAJ net journal growth. 1,707 journals were added for a current total of over 12,000 journals. Negative growth in 2016 illustrates the impact of the DOAJ weeding / re-application process. 4.5 million more texts are available through Internet Archive, bringing the total close to 20 million. The following table provides data on total number of items as of December 31, 2018, growth in 2018 by number and percentage, in descending order by growth in percent. In interpreting percentage growth, consider total and numeric growth. 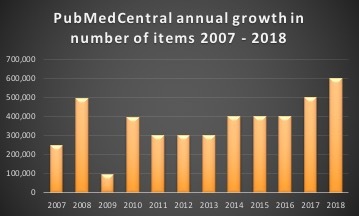 bioRxiv nearly doubled in size this year, indicating a fairly new but healthy and rapidly growing service; but this reflects growth of about 20 thousand documents, a small fraction of the 600,000 items added by PMC for a 13% growth rate. 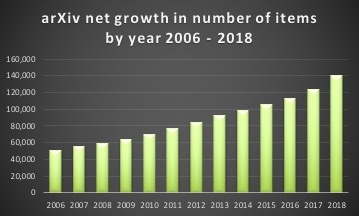 Full data can be downloaded from the Dramatic Growth of Open Access dataverse: https://hdl.handle.net/10864/10660. This post is part of the Dramatic Growth of Open Access series. From 2004 - June 30, 2018 the series was posted on a quarterly basis. As of September 30, 2018, I continue to gather data quarterly but plan to release the series less frequently, most likely on an annual basis. Update December 10: the original was over the 2,000 word count. Following is the final version under 2,000 words, followed by the original in case anyone is interested in what was cut. This is an individual submission drawing on my background as Principal Investigator of Sustaining the Knowledge Commons (SKC), a research program funded through a SSHRC Insight Grant. The goal of SKC is to develop evidence to support the economic transition of scholarly publishing from demand to supply side to support the potential unprecedented public good of a global knowledge commons, a collective sharing of the knowledge of humankind, free for anyone to access and free for all who are qualified to contribute to. I also draw from my broader interest in and value of the arts and culture, and my expertise in the area of development of information policy to support such values. This submission strongly supports the expansion of fair dealing exceptions to copyright that were introduced in the 2012 Copyright Modernization Act. I present evidence to support the retention of sections 29, 29.1, and 29.2 in their present form. In brief, broad fair dealing exceptions for education (section 29) are inherently generally fair because the majority of works consumed are produced and/or supported by people in the educational sector who do the work for the public good rather than private gain. In the university context, academic researchers and students create the vast majority of works consumed and, with some exceptions, do not expect or receive economic benefit from their copyrightable works. There is a strong and growing trend for academic researchers to make work freely available to everyone as a public good. Provincial education systems develop curriculum, approve and sometimes commission textbooks. Schools and school boards pay for textbooks and the majority of other resources used by students. I acknowledge that there are creators whose work is important to Canada (local authors, artists, musicians and publishers) who do not benefit from K-12 or post-secondary budgets. For this sector, I recommend development of a plan to provide direct support for Canadian creators working outside of the formal educational systems (K-12, universities) to replace the current copyright collectives and to develop new models of creative collaboration to take advantage of recent technological developments to develop new, more effective approaches to support for creativity in Canada. I make this recommendation on the grounds that direct subsidies to creators would be more cost-effective than the current system that is in effect an indirect subsidy. Currently, we very limited support to creators in an indirect and non-transparent way as follows: federal transfers to provinces for education; provincial transfers to universities, colleges, and school boards (supplemented by student tuition in the post-secondary sector); purchase of resources and payment of additional fees or licenses for additional copying to copyright collectives; disbursement of $ from copyright collectives (subtracting administrative costs) to a variety of types of copyright owners, ranging from global for-profit corporations to individual creators. I argue that we should investigate whether it would be less costly and more effective for Canada’s creative community to simply give $ directly to creators through generous subsidies. For clickable links see https://poeticeconomics.blogspot.com/2018/12/canadas-statutory-review-of-copyright.html. In the classroom, many professors like myself are taking advantage of current technologies to develop pedagogical approaches based on active rather than passive learning. In a passive approach, students absorb information provided in textbooks and lectures. In active learning, students are doing hands-on work including conducting and publishing research. Examples from my classes: students create an open access journal in which they peer-review and publish their term papers and create and publish professional open access blog posts. As a faculty member and author, my experience is fairly typical. The cost of doing my research is paid for by my salary as a university professor and my research grant funds. Both are heavily subsidized by the Canadian taxpayer, and student tuition fees today accounts for about half of university budgets. As an author, I receive and expect no remuneration when I publish peer-reviewed journal articles or book chapters. As a peer reviewer, I receive and expect no remuneration. I did receive modest royalties from sales of a scholarly monograph, however from a financial point of view I (and many other authors of scholarly monographs), I would be much farther ahead had I devoted the time required to write the book to a minimum wage job. In retrospect, I wish that I had published this material as an open access book or wiki as the publisher is no longer actively marketing the book. By transferring copyright to the publisher, I made my work less accessible and far more difficult to update. I seek to make all of my academic writing open access (free to read for everyone), a steadily growing trend in academia globally. 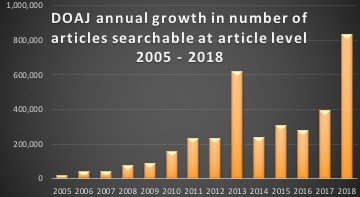 As of December 2018, there are over 12,000 fully open access, peer-reviewed scholarly journals listed in the Directory of Open Access Journals https://doaj.org/ According to industry research (Ware and Mabe, 2015) there are about 34,550 peer-reviewed journals published worldwide; the percentage of these that are fully open access is about a third. Many more journals provide free access to back issues after an embargo period. The Directory of Open Access Repositories, OpenDOAR, lists over 3,800 repositories worldwide http://v2.sherpa.ac.uk/view/repository_by_country/countries=5Fby=5Fregion.html The Bielefeld Academic Search Engine https://www.base-search.net/about/en/ provides a cross-search service of repositories and journals and lists over 120 million documents from over 6,000 sources, of which about 60% are open access, about 72 million documents. This free access to academic works, supported by academic authors, universities, and research funders is a reflection of the fact that academic research is not inspired by, and does not require, the economic benefits of copyright. The moral rights of copyright (attribution and integrity of the work) are important to academic authors. The traditional scholarly publishing industry is in the process of transitioning from demand side economics (purchase of books and journal subscriptions) to production-based funding. Today, the largest open access journal publishers by number of fully open access journals are all traditional commercial scholarly publishers (Morrison, 2018). As of the end of November 2018, Elsevier has 347 fully open access journals and offers an open access publishing choice for 2,040 other titles, almost all of their journals (Elsevier, 2018). As of December 7, 2018, the Directory of Open Access Books https://www.doabooks.org/ lists 285 publishers; 3 of the 4 publisher sponsors listed on their website are traditional commercial scholarly publishers (Brill, Springer Nature, and DeGruyter). In addition to transitioning traditional formats developed before the internet (e.g. journals and books), faculty and students are beginning to explore the potential of the digital medium and the internet. My most important publications today are published primarily in non-traditional formats. Since 2004, I have maintained a scholarly blog called The Imaginary Journal of Poetic Economics http://poeticeconomics.blogspot.com/where I post, for example, contributions like this to government consultations. In 2014, I developed a research blog for the Sustaining the Knowledge Commons https://sustainingknowledgecommons.org/ (SKC) project. The SKC blog provides a venue for myself and my student research assistants to publish early findings. This is excellent training for students as it gives them a means and incentive to develop and publish small sub-research projects. 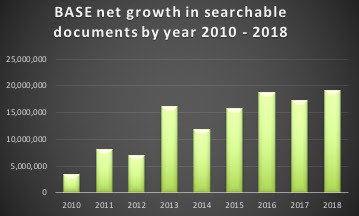 Data gathered through the SKC project is published as open data in the OA APC dataverse: https://sustainingknowledgecommons.org/open-access-article-processing-charges-apcs/ These new formats require access to technology and hosting services, but there is no longer any need for a publishing intermediary as was the case when academic work relied on the print medium and postal system. As a prolific academic author, I never have been and never will be represented by Access Copyright. The work of Access Copyright is antithetical to the purposes of my work (to serve the public good). I recommend the abolition of Access Copyright and redirection of funding by universities and school boards to directly support open access in academia and the K-12 sector (e.g. funding for open access monographs, journals, and textbooks). This will not meet all of the needs of Canada’s creative communities. In my opinion, Canada’s artistic creators (authors, artists, musicians, independent publishers and intermediaries who work closely with and for the artistic community) deserve our respect and support, and are not well served by our outmoded approach to copyright collectives. I argue the continuing existence of these collectives is counter-productive as it entrenches outmoded approaches and business models when creators would be better served by developing new types of collectives to take advantage of new technologies to create new relationships with society and consumers. I argue that this approach would be far more effective in creating a healthy and productive relationship between our artists and society than the current impersonal, non-transparent approach involving requiring payment of tariffs that positions copyright collectives as impersonal, non-transparent enforcers of rights. To accomplish this vision, I recommend financial support for artists in the transition phase as well as targeted funding to develop mechanisms for transition such as research and education on the use of new technologies to support more productive artist / society relationships. As I explain in the introduction to this submission, direct support would likely be more cost-effective than the current system of indirect, non-transparent subsidies. Following is the original version that I was not able to submit as it was over the 2,000 word count. This is an individual submission drawing on my background as Principal Investigator of Sustainingthe Knowledge Commons (SKC), a research program funded through a SSHRC Insight Grant. The goal of SKC is to develop evidence to support the economic transition of scholarly publishing from demand to supply side to support the potential unprecedented public good of a global knowledge commons, a collective sharing of the knowledge of humankind, free for anyone to access and free for all who are qualified to contribute to. I also draw from my broader interest in and value of the arts and culture, and my expertise in the area of development of information policy to support such values. This submission strongly supports the expansion of fair dealing exceptions to copyright that were introduced in the 2012 Copyright Modernization Act. I present evidence to support the retention of sections 29, 29.1, and 29.2 in their present form. In brief, broad fair dealing exceptions for education (section 29) are inherently generally fair because the majority of works consumed are produced and/or supported by people in the educational sector who do the work for the public good rather than private gain. In the university context, academic researchers and students create the vast majority of works consumed and, with some exceptions, do not expect or receive economic benefit from their copyrightable works. There is a strong and growing trend for academic researchers to make work freely available to everyone as a public good. Provincial education systems develop curriculum, approve and sometimes commission textbooks. Schools and school boards pay for textbooks and the majority of other resources used by students. I acknowledge that there are creators whose work is important to Canada (local authors, artists, musicians and publishers) who do not benefit from K-12 or post-secondary budgets. For this sector, I recommend development of a plan to provide direct support for Canadian creators working outside of the formal educational systems (K-12, universities) to replace the current copyright collectives and to develop new models of creative collaboration to take advantage of recent technological developments to develop new, more effective approaches to support for creativity in Canada. I make this recommendation on the grounds that direct subsidies to creators would be more cost-effective than the current system that is in effect an indirect subsidy. Currently, we very limited support to creators in an indirect and non-transparent way as follows: federal transfers to provinces for education; provincial transfers to universities, colleges, and school boards (supplemented by student tuition in the post-secondary sector); purchase of resources and payment of additional fees or licenses for additional copying to copyright collectives; disbursement of $ from copyright collectives (subtracting administrative costs) to a variety of types of copyright owners, ranging from global for-profit corporations to individual creators. I argue that we should investigate whether it would be less costly and more effective for Canada’s creative community to simply give $ directly to creators through generous subsidies. For clickable links see https://poeticeconomics.blogspot.com/2018/12/canadas-statutory-review-of-copyright.html.